Hardwood flooring is made easy at our reputable store with our wide selection of options that include different styles, colors, finishes, and grains. For many homeowners, installing hardwood is a desirable remodeling project because of their traditional beauty and allure. Our showroom also features an outstanding selection of both engineered and solid hardwood flooring from many of the most reputable manufacturers in the industry. You can rely on our low prices and professional hardwood flooring installation team to ensure that your stunning new floors look great and last long. When you are looking for solutions for your flooring needs then you need to speak to the team at our flooring showroom. Our staff provides their expertise by promoting brand-names such as Heart & Home™ and Bedford Mills™. We separate ourselves from the competition by providing a number of flooring specialists who offer an impressive blend of experience and knowledge to our customers. The professionals at our shop are the team you want by your side when it comes to enhancing the look of any room in your home. As you shop our floor, one of our specialists will be there to help you pick out the top choices that meet your special flooring requirements. We are happy to guide you every step of the way—from selection to installation. Are you looking for the luxurious look of a hardwood floor, but are on a strict budget? Then engineered hardwood flooring is the right option for you. This attractive and durable flooring provides you with the warm, welcoming feel of a solid wood floor, but comes at a more affordable price point. Engineered hardwood floors are stylish, practical, and often used in areas that retain moisture, such as bathrooms, kitchens, and basements. Also, these floors are one of the most eco-friendly options currently available for your home’s flooring, which means you can feel good about choosing this Green flooring style. Solid hardwood flooring gives a timeless look to any home. Whether your style is rustic, contemporary, modern, craftsman, traditional, Victorian, or bungalow, these floors are easily the right way to go when renovating your home. There is a reason why so many homeowners have turned to hardwood over the years and you will notice it as soon as you walk into your home the first time after these gorgeous floors have been installed. Ensure you are getting that perfect look for your home by installing flooring that will last for generations. There are a number of different types of hardwood floors available for you to choose from, but they all have one thing in common – these floors add value and wonderful character to any home. When you are looking to renovate your home, then you should come and speak to one of our friendly staff members about the different styles of hardwood we offer as well as their benefits. 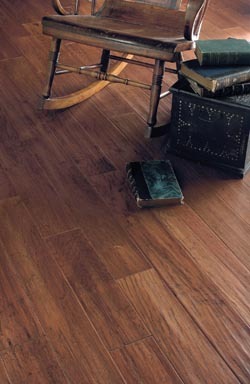 Our hardwood collections vary by color, type of species, construction and size, and glosses. Our team is ready to help you match the type of floor that will work best in the type of room you are renovating. Whether you prefer a hardwood floor for your dining room or need hardwood flooring installation services for multiple rooms, our team is ready to help you every step of the way. Our installation services are affordable, efficient, and effective. The installation rates provided by our flooring store are highly competitive. We pledge to provide you with a level of personalized service that is unmatched by any home improvement center or any other flooring store. Take advantage of our products, services, and outstanding warranties and to do everything in our power to earn your trust, business, and recommendation to your friends. Ensure your floor is properly installed by working with our installation team. Contact us when you are looking to improve any room in your home. Our hardwood flooring products and services are available in Anderson, Greenville, Easley, Clemson, and Seneca, South Carolina.